Options Expiration is just around the corner, and so we will start hearing about the "pin risk" in options along with the potential for certain names to "pin" at a strike price. Below is a comprehensive guide to the mechanics of options pinning. 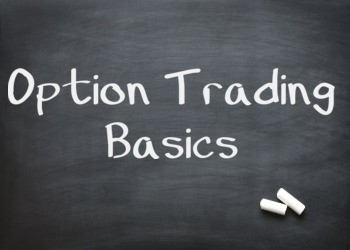 Option Pinning refers to price action in stocks as they come into options expiration. It is often viewed as dark magic, but simply put it is when certain traders and market makers have an incentive to keep an underlying stock around a certain price. There is a problem with holding short options all the way to expiration, especially if they are at the money. Let's say that you are short $AAPL 390 puts. That means you have the obligation to purchase stock from the option owner if they decide to exercise their contract. 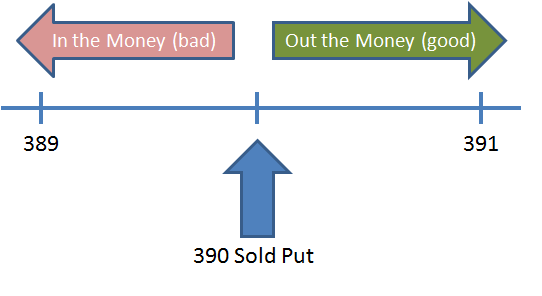 Now the only time it is advantageous for an option owner to exercise is if the option is in-the-money. So if at expiration AAPL is trading at 391, the option buyer will not exercise as they can go and sell $AAPL at a higher price than the strike of the option. But if AAPL is trading at 389, then the owner of the AAPL put can assign shares to the option seller for a better price than market. If you sold that AAPL put, do you really want to get assigned? Maybe, but then that leaves you with risk over the weekend, higher commissions, and it ties up your margin. So option shorts often have an incentive to keep the stock price of the underlying above or below a certain strike price. If you are the $AAPL put seller and you have some serious size on, you could just go out and buy AAPL on Friday to keep the price above that strike. The same occurs with sold calls. This creates a unique source of supply and demand only seen as we come into options expiration. 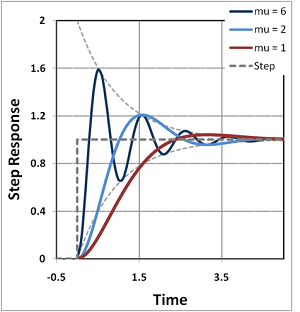 Price action around a pin often resembles a "damped harmonic oscillator." There is a price level, usually an option strike where price will attempt to move away-- and it will be met with a force that causes it to revert to this level, and potentially overshoot. As the market heads towards the end of the day, the forces attempting to move it away from that strike will diminish and the amount of force required will be reduced as well. It resembles a child on a swingset who has stopped moving her legs, and is coming to a rest. Think about it: option pinning is where a new source of supply and demand come onto the market in order to keep the price of the underlying near a strike. But if the overall market supply/demand goes into imbalance that engulfs the pinning effect, then we often see a fast move away from the strike. From what I've seen, the input that effects the trade the most is the amount of open interest on the strike relative to the average amount of shares traded. This shows us how many traders and market makers actually have "skin in the game." If enough traders have skin in the game to keep it around that price, then the pinning supply and demand will be great enough for the effect to happen. If not, then price action can be more random. The statistical efficacy of option pinning has come into question, and I can see why-- it's much more of a dark art and it is not as consistent as one may think. But when it does happen, you know it when you see it. This goes into some simple auction market theory. The stock market opens at 9:30 AM eastern. We usually have a good hour of trading, maybe 90 minutes-- and then often the volatility will settle down. This is because much of the large, institutional order flow occurs at the beginning of the day. After the morning session is the best place to start scanning for pinning candidates. Soon lunch will come around, and then trading may pick up at the 2PM turn, but if levels are followed in some individual names then you may be able to pick up a trade. What are good pin candidates? First thing you need to have is a fairly liquid options board. That means you will start seeing the same names over and over-- $AAPL, $GOOG, $PCLN, $BIDU and so on. The second thing you need to watch for is news risk. This can be beneficial in many ways as it often produces an enhanced pinning effect, or maybe an option squeeze if the move is greater than what the options are pricing in. 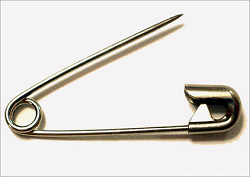 Better candidates will have a higher open interest at a pinning strike relative to the others. However, this does not guarantee a pin in any sort of way-- I've seen times in which the stock completely overran a level that many were expecting as a pin because of the huge open interest. Look for names that could technically be settling down into a range. Often there is a support or resistance level that will help to keep prices close, and the market structure will actually provide reinforcement to the levels. Also, consider only names that have strike price width of 5 or more. When you have names with closer strike prices, it affords option traders the ability to distribute open interest, which reduces the "skin in the game." So if you're looking for an option pin in $X, you will be left wanting. With those filters, you will often see that you go back to the same names over and over again. And that's fine-- each individual stock has its own personality that can only be learned with experience. Can I trade Option Pinning? This is a tough question, because there are many ways to trade the outcomes of the pinning effect. 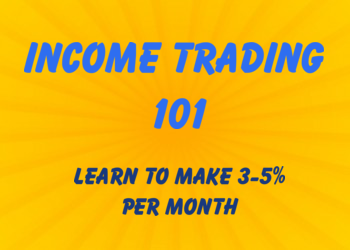 I generally break it down into 3 categories of trades. This is a set of trades where you have high conviction that the underlying will stay at or near a strike going into the end of the day. You are looking for a lot of theta, so you will be a net option seller. In exchange for the theta, you take on a lot of gamma risk-- you lose money on a fast move. Because of your belief in the pinning effect, you believe the gamma risk is mitigated. Examples of trades in this category are straddle sales, strangle sales, iron butterflies, and calendars. here is a way to structure your risk that makes some money if it stays at current price, more money if it goes to the pin, and losses if it overshoots the pin. There are also more advanced considerations, such as the implied volatility in the name as well as the potential to arbitrage short term volatility. Examples of trades in this category include ratio sales, broken wing butterflies, and out of the money calendars. This kind of trade works when you believe that the short term supply and demand forces will greatly outweigh any sort of pinning effect. This often comes on the back of a trending market or a stock that has just seen news released like earnings or sales numbers. With this trade you are willing to accept theta risk in exchange for the ability to profit on a fast move. The benefit with this trade is that if you are right, the options will go full intrinsic and you will eliminate the theta risk altogether. Examples of this trade include straddle buys, strangle buys, calendar sales, and straight up put/call buys. Do note, there are some very different risks when trading opex. You are dancing on what I refer to as the gamma knife edge, which is not a fun place to be when you are wrong. Opex trading requires a very disciplined mind and the agility to adjust positions quickly. Learn more about why beginners should steer away from opex. What Have Weekly Options Done To Pinning? That's a great question for a graduate student to cover in a thesis paper. I don't have any hard numbers, but I'll give my thoughts based on watching the market on opex this year. 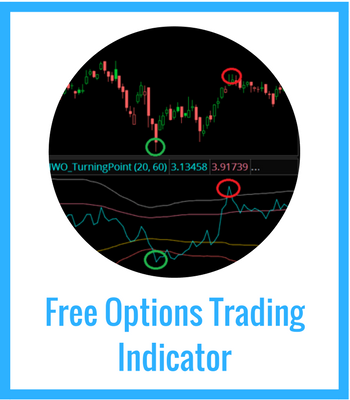 The introduction of weekly options into many pinning candidates has a very specific effect. Those traders looking to take positions in the short term no longer have to use the front month options. This lead to near term order flow to be distributed across short term options, which has led to decreased open interest on the monthly options going into expiration. So what do you think would happen here? Sure, the pinning effect should be reduced during monthly options expiration, and I think it has. But, much to my surprise, there has been a pickup in pinning effects in the weekly options. I don't know if this is quantifiably true, but the way that some of these weekly options trade on Friday lead me to believe that there may be a resurgence in the dark art. Any other questions? If I missed anything or want to give me feedback, let me know in the comments section.